Ethically I believe in supporting small retailers, and try to as much as possible. I also live in the real world however, and the convenience of supermarkets means I do shop in them—and more frequently that I would like. 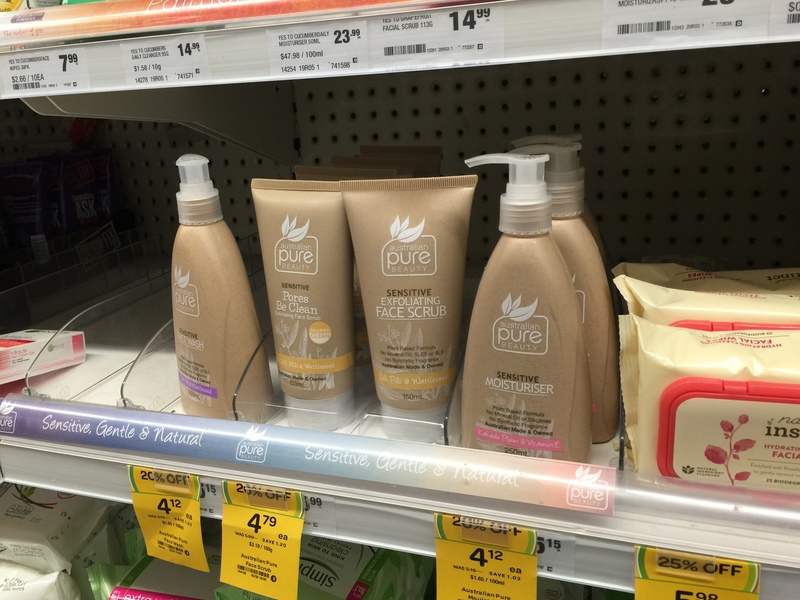 My options for purchasing cruelty-free cosmetics and household products in supermarkets to date though has been been pretty limited, and has generally also required hunting through the bottom shelves on my hands and knees (with the prime sites saved for the big-budget non-cruelty-free brands). 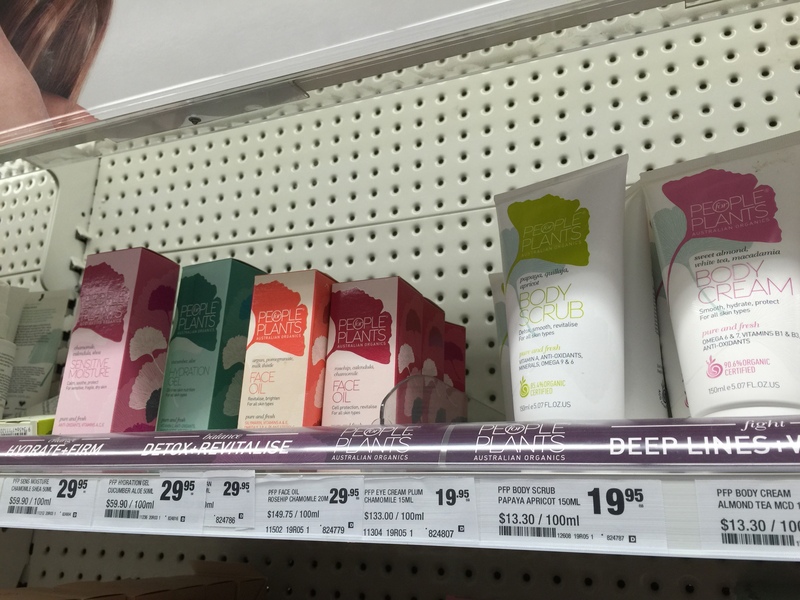 Imagine my surprise then last week when I noticed my local Woolworths had dedicated an entire bay to cruelty-free skincare products. Not just a shelf, or couple of shelves…an ENTIRE bay. I literally gasped—in a good way! 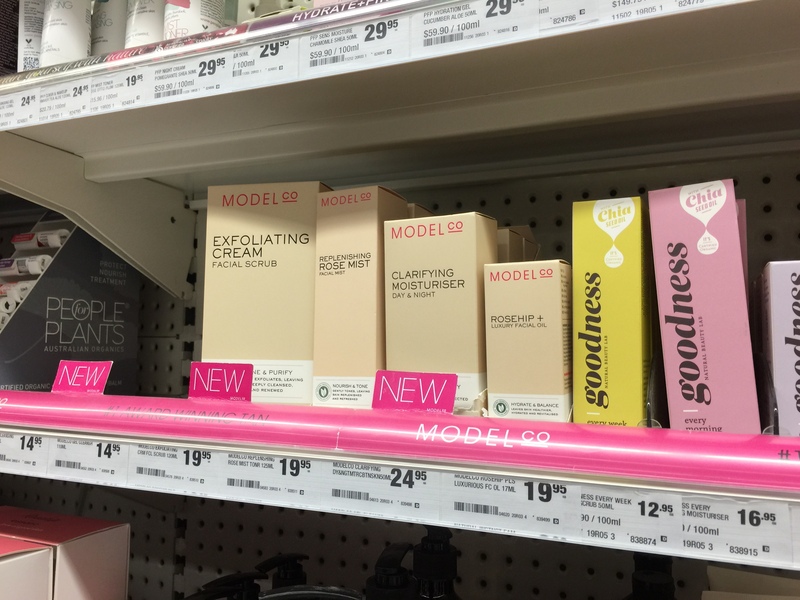 I’m not sure if this is a concerted effort by Woolworths to offer more for those of us shopping for cruelty-free products, or just a random clumping of products, but either way Woolworths made my day! I’ve tried most of the brands, but there were a couple that were new to me. Goodness – a natural skincare range, based on certified organic chia seed oil. I had never heard of Goodness before, but their website assures there is no animal testing (though this is not on their packaging). I’ll find out more about this brand and report back. 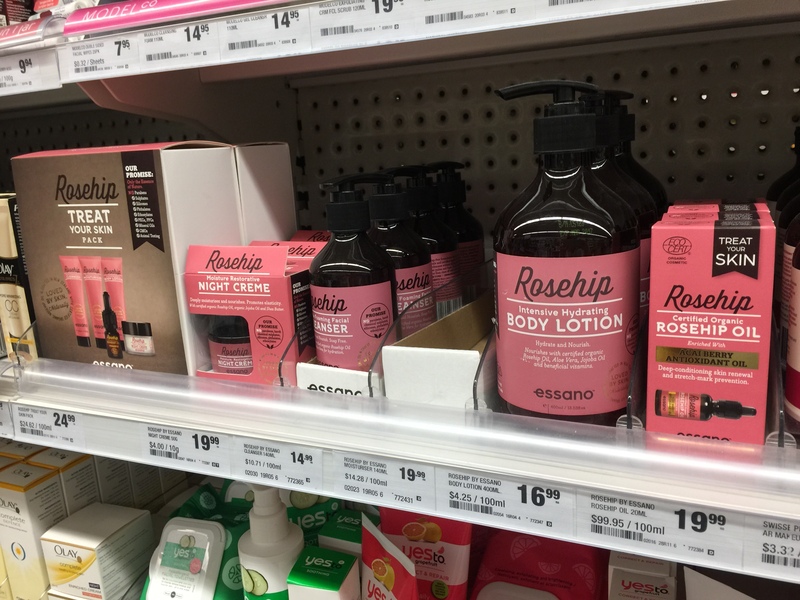 Roseship – a certified organic range from New Zealand that uses Rosehip oil as its core ingredient. 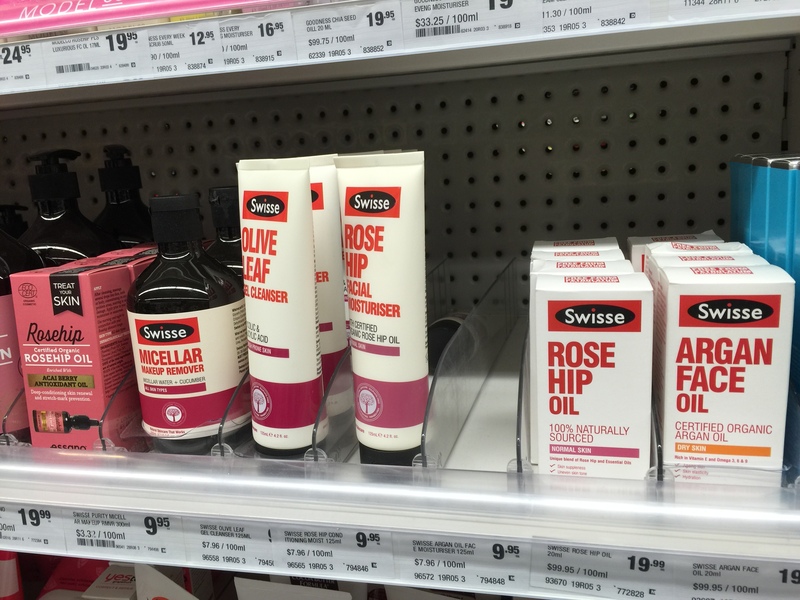 I actually haven’t tried any of their products yet, but have the Rosehip Treat Your Skin Kit on my shopping list. 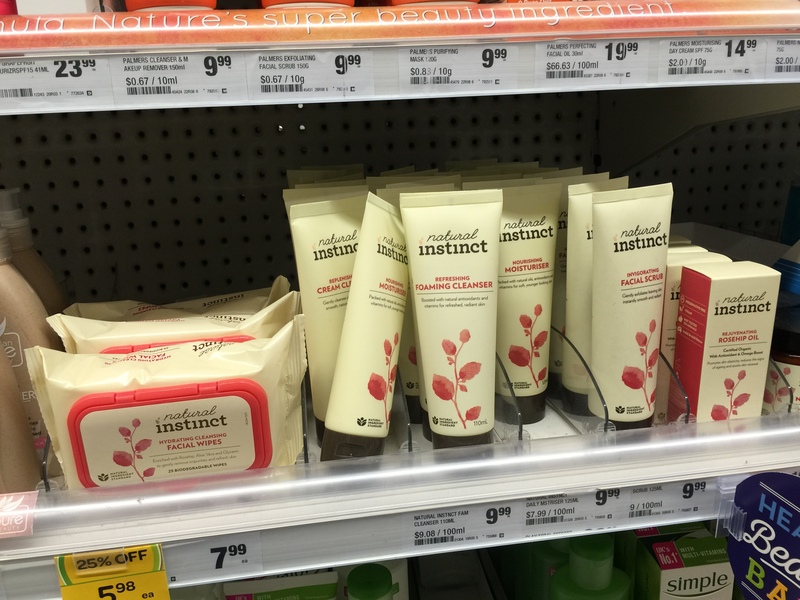 Natural Instinct – an Australian natural skin and hair care range, which I haven’t written about yet, but I am currently trialling the Natural Instinct Refreshing Foaming Cleanser. Review coming soon. 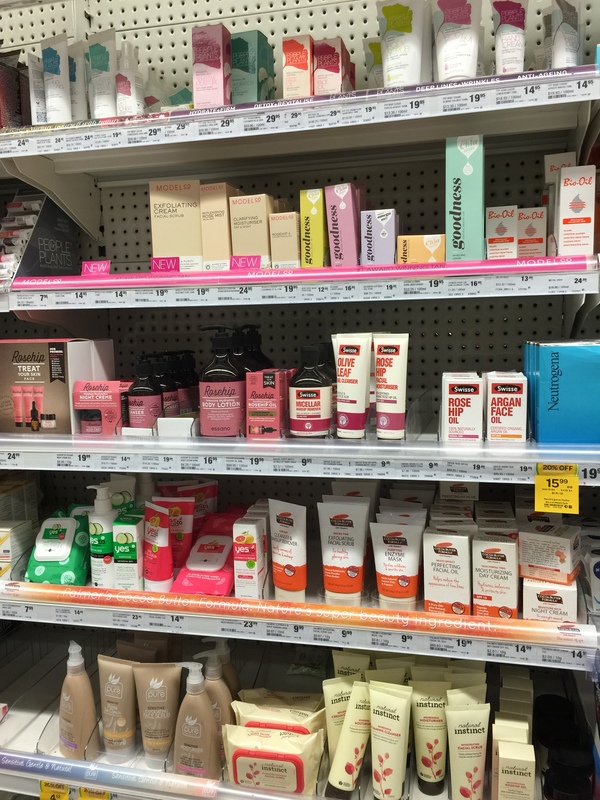 There was also Palmers Australia in this section, but as I’ve said before I haven’t included them in my cruelty-free lists as they distribute skincare products in China and can’t 100% confirm that these aren’t tested on animals.